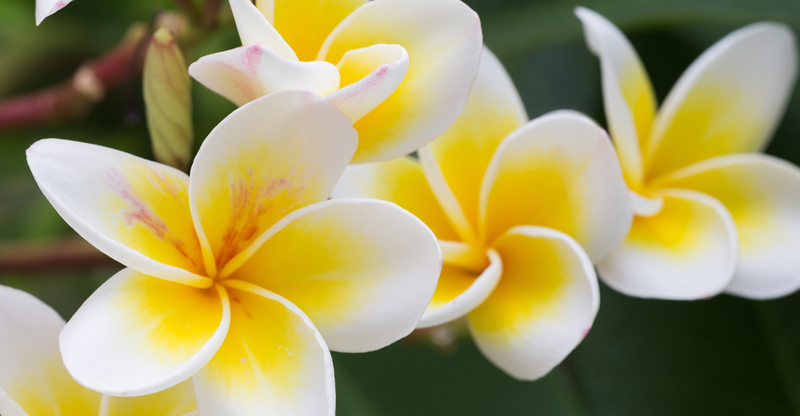 The Frangipani symbolizes positivity, new beginnings, and creation. In Hawaiin culture, it is used to celebrate special occasions and to welcome visitors. It is a flower of grace and charm, a delicate and beautifully scented bloom.